There are so many distractions wherever we live, particularly on Valentines Day. Our craftivism Valentines project is a friendly reminder of the difficult circumstances our global neighbours are in and the gifts are there to encourage a conversation to start even after Valentine’s Day. Each year we try and hijack valentines day and remind people to “Show some love” for their global neighbours as well as the usual smushy stuff. We would love it if you joined in our craftivism project this year. 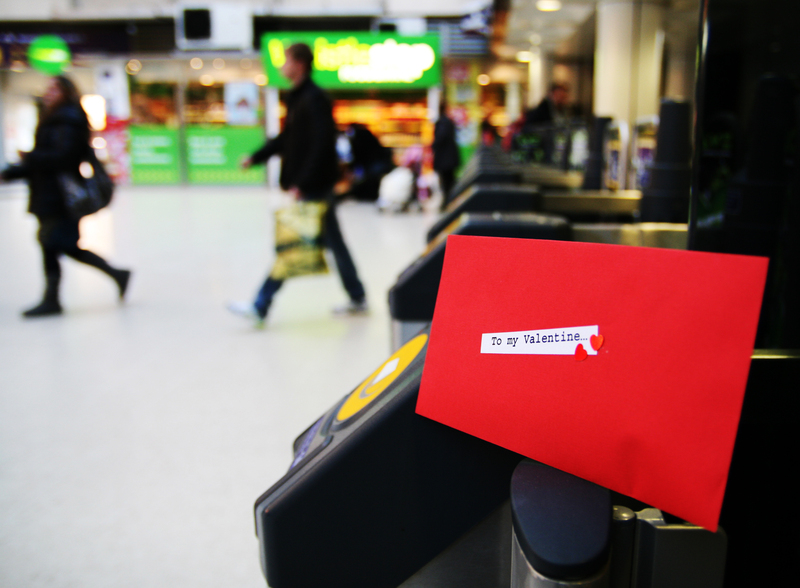 For the last 3 years we have had people all over the globe make as many cards as they can and leave them around their area on Valentines day. 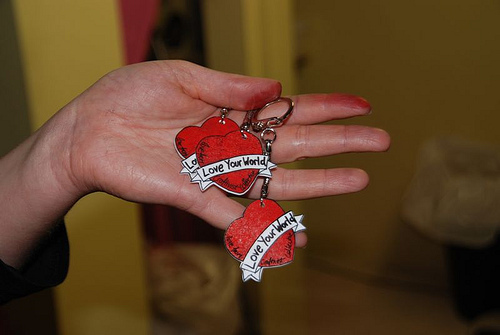 Each includes a handmade keyring designed by cult jewellers Tatty Devine. In the last 3 years we have left 100 letters across the UK (London, Liverpool, Leeds, Newcastle, Banger, Newcastle, Cornwall, Coventry and more- see photos here) as well as America and Canada. Each letter will contain an alternative valentine’s letter (see template letter here), a handmade gift that Tatty Devine are designing for us (see design here) and a love heart sweet. Hand delivered to gaps in walls, cash machine slots, shop shelves etc- You don’t have to be in a relationship to have one of these! Any one can deliver this project on their own or in a group. 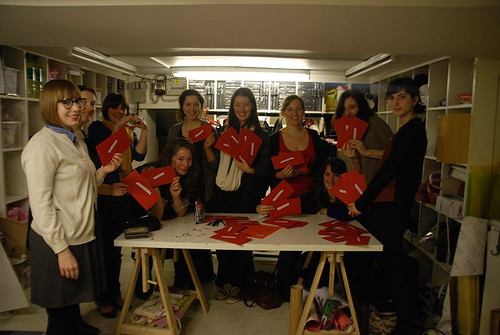 London craftivists are meeting Thursday 6pm to 9pm 9th February in Fabrications craft shop open studio. All are welcome to come for the whole time or just drop in for a cuppa tea, biscuit and to make as many as you can. We are encouraging people to give a donation of £5 to cover costs (shrink plastic is expensive sadly). More info on Facebook here. Join in and spread the love ! I appreciate for this topic. Really Valentine Day is so beautiful day of lover’s lovable life. Peoples are celebrations this day for any types of custom like cake, chocolate, gift, etc. I like this day and am feeling happy for this day.